I’m ready to book. How do I get started? The first step is to contact me to confirm availability and discuss your pet care needs. Then we’ll create and account for you in our online scheduling system and book your FREE meet and greet session to go over details. We are bonded and insured through One Family Insurance. No professional licensing exists for pet sitters at this time. If your area isn’t listed, feel free to contact us and ask! We may be able to make an exception. Our rates are based on the amount of work involved in caring for your pets. If you’d like to get an exact quote, please contact us and we can discuss your pet care needs. 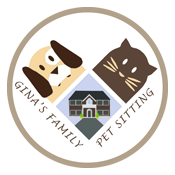 For most clients our rate for pet sitting and dog walking starts at $22 per visit. Payment is due on or before your first day of service. You can pay securely on our portal (or free app) by debit or credit card. ACH (bank) payments also accepted. For auto-scheduled daily dog walks, please let us know by 7pm the evening prior to the service for a 100% credit. **All refunds will be given as an account credit. Do I have to give you a key to my house? We require all pet parents to give us two copies of their house keys to keep on file at our Meet and Greet Consultation. We do not label your keys with any identifying information and keep them locked in a safe when not in use. Having two keys on file allows us to ensure consistent reliable care of your pets no matter what. Your primary pet care professional will keep the first copy to use for entering your home for pet sitting visits and the other key will be stored in a safe in our office for your backup in case your primary pet care professional has an emergency, illness, or vacation scheduled. What if I don’t have two keys? For a small fee, we can have extra copies made. Can I just leave a key under my doormat or other hidden location? How about I leave my key in a secure lockbox outside my house and give my pet sitter the code? Or access to the house with a garage door code? No! This poses a security risk to your pets and home as well as us if an unauthorized person was to find the key and enter your home. It is also a liability for us if the key was to go missing. We prefer to keep your keys on file to ensure reliable and consistent care of your pets. If you happened to forget to put the key in the lock box or someone else who has access happens to remove the key, we will not be able to get into your home. Lock boxes are also prone to freezing and rusting shut and can damage the door or doorknob they’re attached to. In regard to the garage door code, again, this is an issue with me ensuring the care of your pets. Power failures can happen. Garage doors can malfunction. We need to get into your home reliably. If you prefer we enter your home via the garage, we are happy to accommodate that request but still require two copies of your key as a backup. Will my dog be walked alone or in a group of dogs? We only do private walks in your neighborhood. If you have more than one dog, we are happy to walk them at the same time or separately, depending on what works best for them. What happens with my dog’s walk if it rains or snows? We can adjust the visit time and come a little earlier or later to avoid the bad weather. If the weather isn’t too severe and your dog doesn’t mind, we can go for our usual walk and have good towel off when we get back. We can shorten the walk to a quick potty break and spend more time playing with your dog indoors. What types of animals do you care for? We have training and experience with all kinds of pets: cats, dogs, ferrets, rabbits, pocket pets, livestock, horses, and poultry. The occasional betta or goldfish get attention too. We do not have as much training with reptiles, amphibians, or birds, however. If they do not require much and they are in a secure enclosure, their care may be discussed. How far in advance can I schedule services? We schedule on a first-come, first-serve basis and recommend booking pet sitting services as soon as you know your travel dates. Most of the time, booking 1-3 weeks in advance is sufficient, but during major travel times, school vacations, and holidays we do sometimes book up a month or more in advance. How many pet sitting visits should I schedule each day? To keep your pet’s stress level at a minimum while you’re away, we recommend trying to adhere to your pet’s normal routine of eating, exercise, and potty breaks when you decide when and how often to schedule pet sitting visits. For cats, we recommend 1-2 visits per day. Most dogs need a minimum of 3 visits per day (usually two drop in visits for feeding, bathroom, and cuddles plus one quick potty break mid-day) to ensure kidney and bladder health as well as to avoid having accidents in the house. Have another question we haven’t answered? Contact us here.